UNCIRCULATED 1929 FRENCH Art Deco Pinup in travel and lugage subject. In up skirt, sheer seamed stockings. 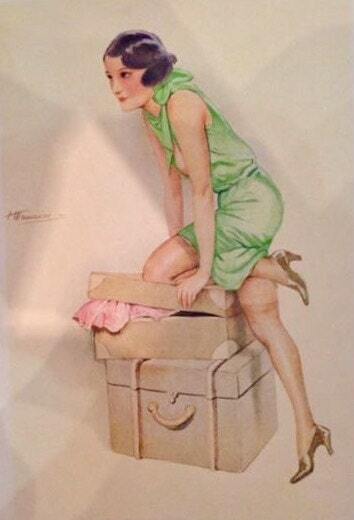 A Vintage 86+years old great condition Pin-Up Lithograph. 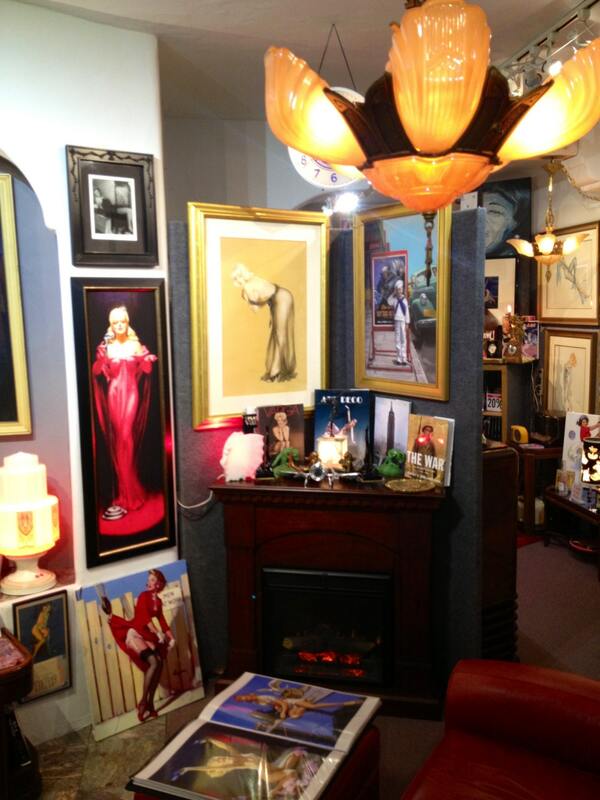 Great art for any fan of Jazz age Flappers, "Miss Fisher's Murder Mysteries" and Art Deco collectors! Note: The light and shadows on the art is from the natural lighting of the studio, not on the print. Like a watermark, It does protect these images from reuse. RARE! FIRST TIME I HAVE OFFERED THESE! Vintage lithographs with color variations. Great art for Art deco and Midcentury Modern homes or offices ! One only this purchase. There were 4 total in my set. Hurry and Buy them all! Sold in 4 listings, see my other listings and collect them all! Near perfect or mint, stored since new. 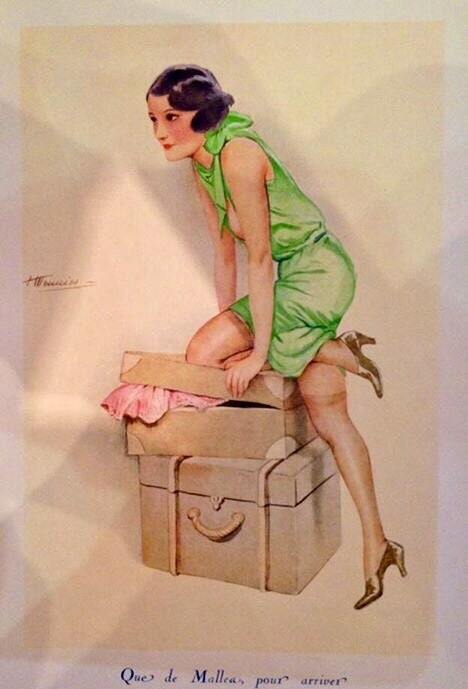 Nearly mint, and perfect fresh color prints for 86 years old! This is a Very Rare and hard to find image in this size and condition. I am artist and art collector of over 45 years. These are from my personal collection. I have owned it for about 17 years. Always properly stored, kept from all light. It is aesthetically pleasing and beautiful. I love the tint and color variations. STORED SINCE NEW - This is the real deal 86 years old and in near mint condition. Stored since new when I bought the estate of a pinup art collector. It was put away and stored since new along with many other proofs and sample sets. I have had it for years and have faithfully preserved it as well. It has not been framed or seen the light of day. It was never framed. Because its really un-handled condition, I can NOT accept refunds without a serious restock fee of 25% or more, if damaged, handled or soiled on return. Please understand any handling at all will diminish it's value. I will ship it fully insured, and pack it carefully. Shipped UPS or Fed/Ex. Professionally packed. You will be satisfied!